the us in russ: Saving. I've been thinking a lot about waste today for some reason. I think it might be because I recently had the privilege of looking through my grandma's things after she passed away. One of the things that really caught my eye was an old medicine bottle. It has my grandpa's name on it (he passed away 27 years ago) and inside the bottle was a little roll of string. She also had jars of nails and screws and old glass peanut butter jars full of various things that she might need someday. And I can't get the images of that stuff out of my head. I've always heard the saying "waste not, want not" as well as the quote I remember President Hinckley saying "fix it up, wear it out, make it do, or do without." That was the age that grandma lived in. It's not the age we live in now, but somehow I am starting to think I might be missing out on something. I am positive that I take so many things for granted in my life. I don't realize the blessings of little plastic baggies and grapes that go bad. I remember when, as a child, grapes were a rare and special treat that would NEVER even have a chance to go uneaten. When we were going through grandma's things we found a bread bag that had a price tag of 41 cents. Now bread costs ten times that. I wonder why when prices have appreciated, my value of things has depreciated. Perhaps I've just become spoiled. More likely, it is laziness. Maybe it's both. So today I am renewing my commitment to appreciate the things I have and to take a little more care with the stewardship I have been given. I'm going to save my pennies and baggies and eat those yummy grapes. 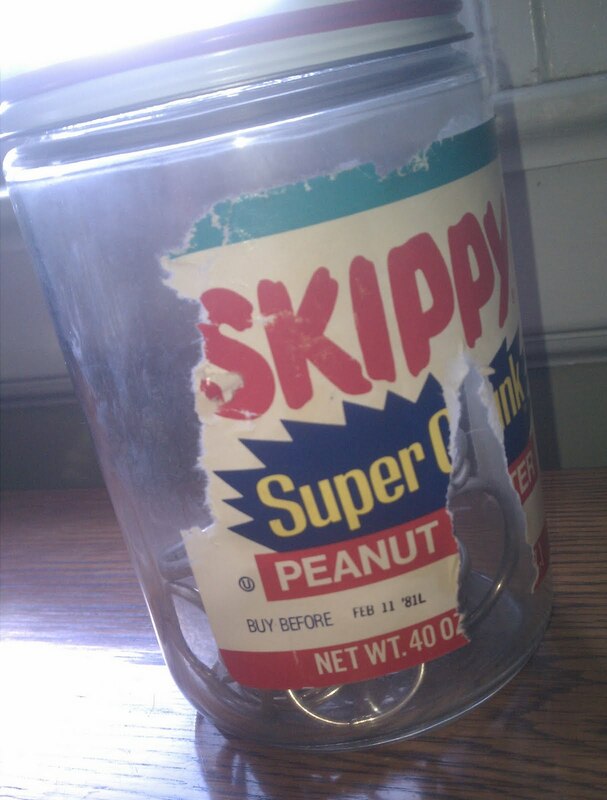 I'm going to set grandma's peanut butter jar and grandpa's medicine bottle somewhere I can see them and I am going to remember that sometimes, somethings are worth saving. Lazy. Just kidding. Very cool post Emily.